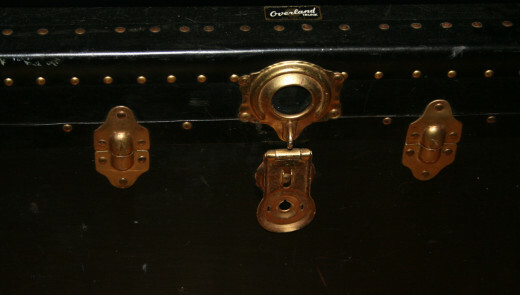 How to make a pirate's treasure chest with an old steam trunk! One day while Christmas shopping on a budget, we stopped at a thrift store that's commonly known for their terrific finds. Actually, we had driven up through Rhode Island, stopping at every flea market and antique store we could find. We were specifically looking for Christmas ideas. There's nothing more inspiring than finding something at a thrift store and envisioning it as a masterpiece you can turn it into. This particular day we stopped at a thrift store where we have always had really good luck finding pretty neat items. To my disappointment, as I walked through the over-crowded aisles of furniture and dusty end tables, I was about to leave the store empty handed. A quick check of the toy aisle and I found a holiday Barbie from a past year that my daughter had always wanted. Heading to the cashier, I dreaded the long line ahead of me. There were laptops displayed with half price tickets up front that kept me entertained. It was finally my turn. I put the doll on the counter and saw it. From across the front of check-out stations, I could see the massive old trunk. I quickly paid for the doll and ran over to it. I checked it inside and out. I was not letting anyone get away with this beauty! 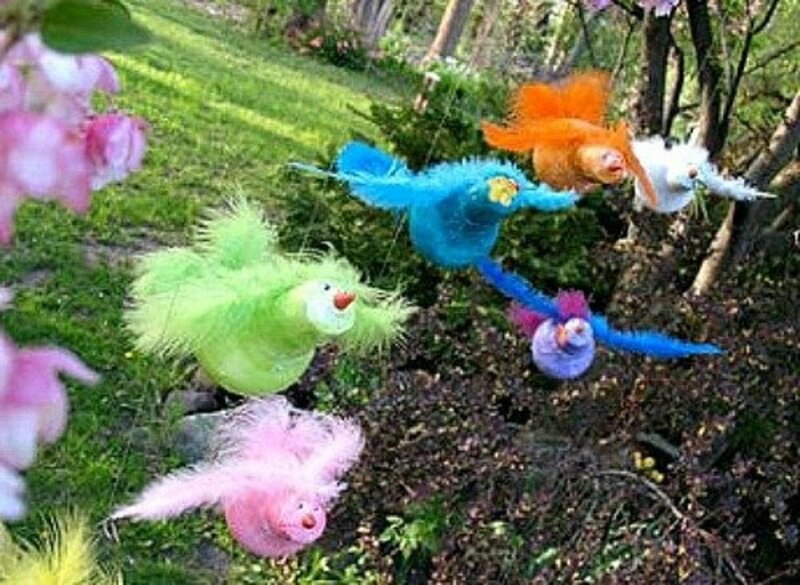 My son had been asking me for one of these for a while for a toy box. My plan was to re-line it and make it a nice storage trunk for his cars and trains. As I stood there guarding the trunk with my life, a sales associate finally approached me. She noticed the look of panic on my face and thought I was having a medical issue. "Excuse me", I inquired. She turned to me and sadly said, "that trunk has been sold". That did it for me. I knew I had to find out who bought it so I could offer them more money for it. Not that I had a whole lot of money that day. Just the fact that I had waited for something like this to come along, and now it finally has. So to put it in proper terms, no one was going to be walking this trunk out of that store except me! Quickly scanning the store for whoever might be watching, I grabbed a hold of the handle on the side of the trunk and scurried up to the cashier whom had waited on me. She was busy with a line of customers. Nothing I did made her turn in my direction and I didn't want to rudely cut the line. I walked back to where I found the trunk. It was a bit heavy and to avoid making a loud sound, I stooped down with it when I dropped it back down. Standing back up, I bumped my head really hard on a nearby furniture item. Somehow I missed seeing it there. This caused a couple of sales associate to whirl around. Well actually, probably what I said when I bumped my head caused the sales associates to whirl around. They came running over to ask if I was injured. Quickly thinking I said, "well yes I am. I really hit my head pretty hard. Thanks so much for checking on me. Now can you go check on a price for this trunk? If I don't get this for my son, it will just break his heart!" There was no tag, no ticket, no price, no sku, no store label on that steam trunk. How the other sales associate could have thought it had been sold, I really don't know. There was no large red "sold" sign on it or any other indicator that someone else was even interested in it. Plus the fact that not one person in the store was remotely interested that I was touching and holding on to the only steamer trunk in the store with my dear life. So obviously it had not been sold, it was just too much of a hassle to go get it priced! A manager approached me after some time. He said, "why that's a nice trunk. The price is $50." I just barely had $50 on me. I had to dig deep for some loose change, but I was able to pay and get the trunk out of the store. I stuffed it in to the back seat of my car. Surprisingly it fit. Also check the hinges inside. These were a little rusty but still in working order. 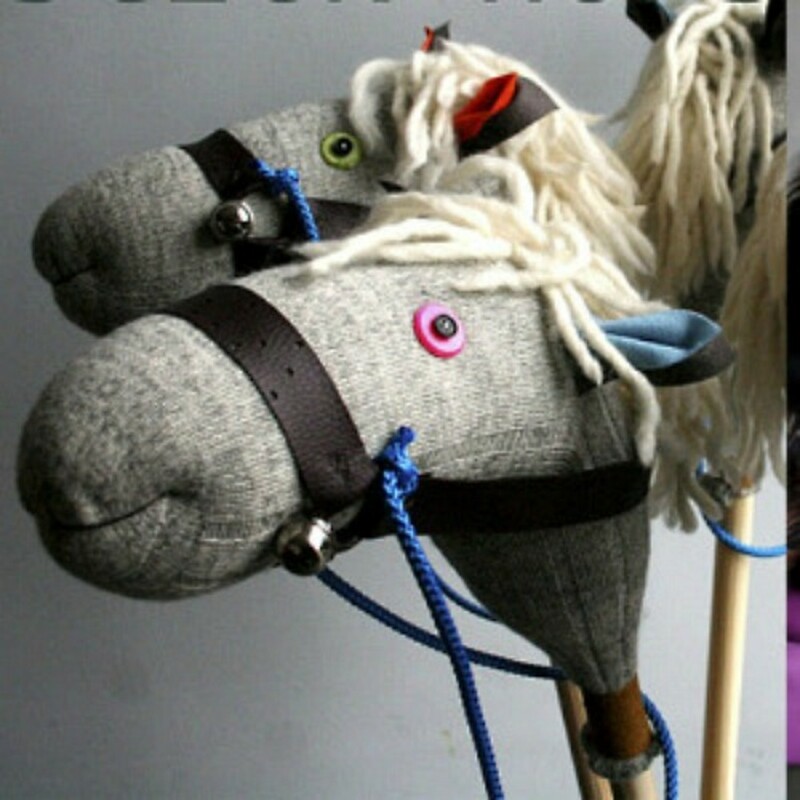 How to re-purpose an old steam trunk into a toy box. Step 1: Check over the outside of the trunk for any chipping paint, loose or broken hardware. Step 2: Decide if you want to repaint the trunk or keep it like it is. I chose to keep the trunk the way it was because it had an old rustic look to it. Step 3: Repair any loose hardware such as latches and hinges. If hardware is missing, even better. You can replace the hardware or keep it that way to really make it look scurvy. Make sure the hinges on the inside are in working order. 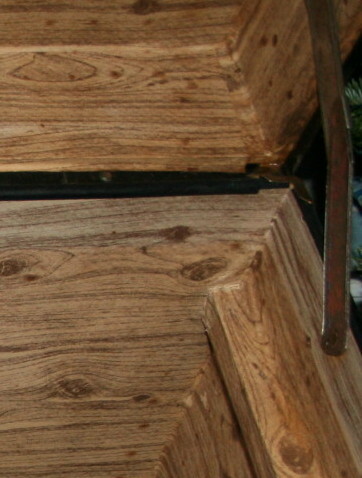 Step 4: Check the inside of the trunk. Remove any loose lining. Someone had already lined my trunk with contact paper that looked like wooden paneling. It was still in good shape and made the trunk look wooden on the inside. Step 5: Check for any odors. You can air the trunk out, spray it with febreeze or put a deodorizer in the trunk for a few days. I also washed mine carefully not to saturate the contact paper so it wouldn't peel up. Step 6: Once the trunk is aired out and smelling fresh, it's ready to be filled with toys! Step 7: Make sure there is no way your child could accidentally lock themselves in the trunk or get stuck in it if it actually shut on them inside. Make sure latches are in working order with no loose pieces that could pose a choking hazard. I filled the trunk with pirate-worthy treasures. 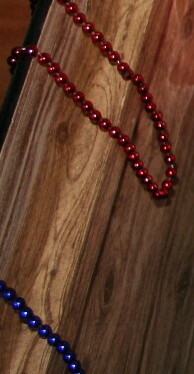 Beaded necklaces are inexpensive and come in multi-packs. I draped the beads around the trunk to look like the trunk was filled with treasures from the deep. I picked up a couple of sacks of chocolate gold coins and sprinkled them in and around the trunk. 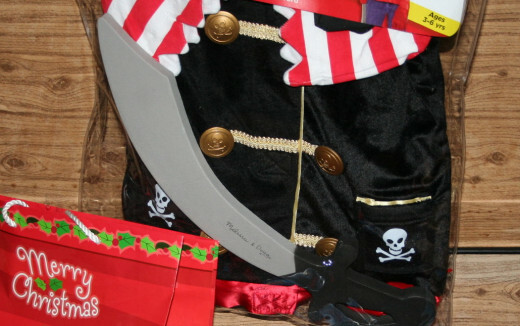 I found a pirate costume dress-up set and hung that up on the opened trunk. You could add a play sword if one doesn't come with the dress-up set. 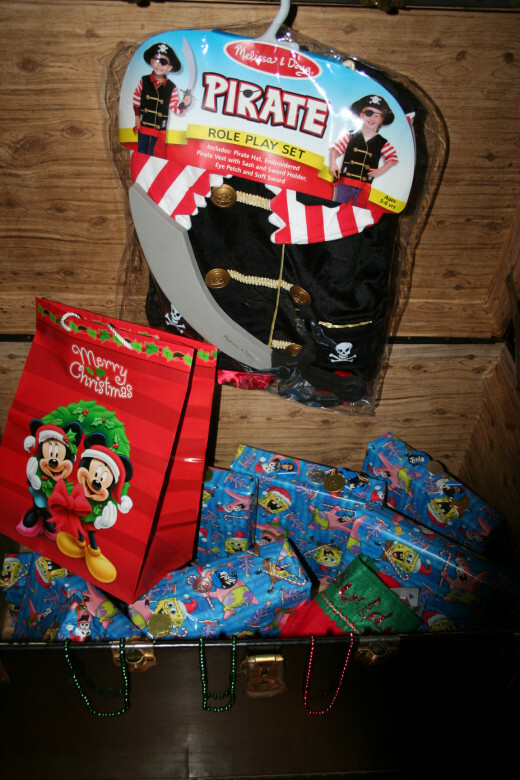 I also found a pirate eye patch and some pirate novelty party supplies that I wrapped up and placed inside the trunk. What to do when your child outgrows the trunk. 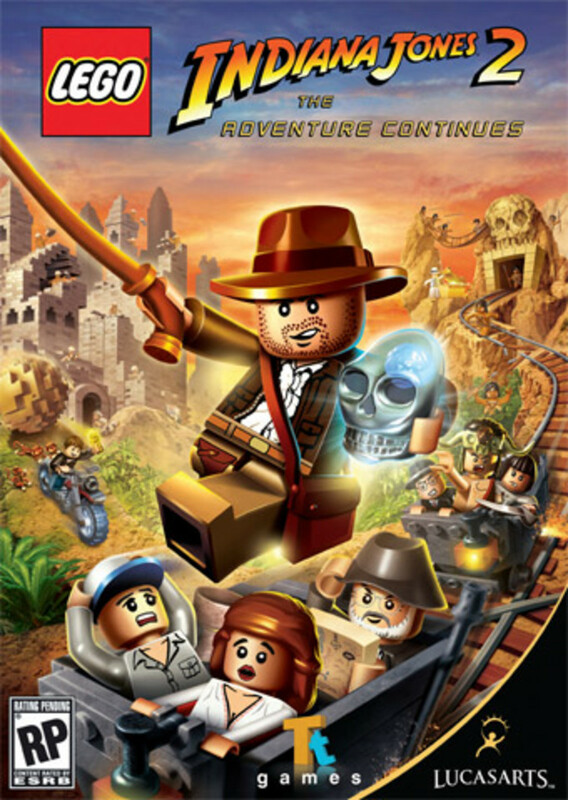 My son outgrew the pirate phase and I started storing his train sets in the trunk. The trunk fit in his closet. But after a while we needed his closet space for other things. I took the trains out of the trunk and placed the trunk under a game table in the living room. It now stores all of the game table accessories. When the children are grown and we have no more use for the game table, I plan on using the trunk as a coffee table. 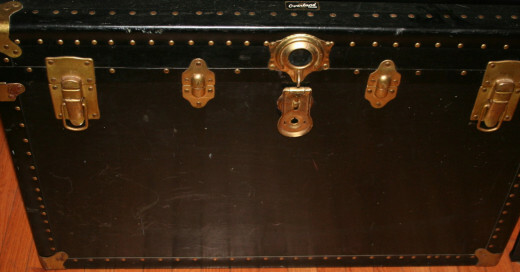 The steamer trunk slides right under the game table for storing game pieces. 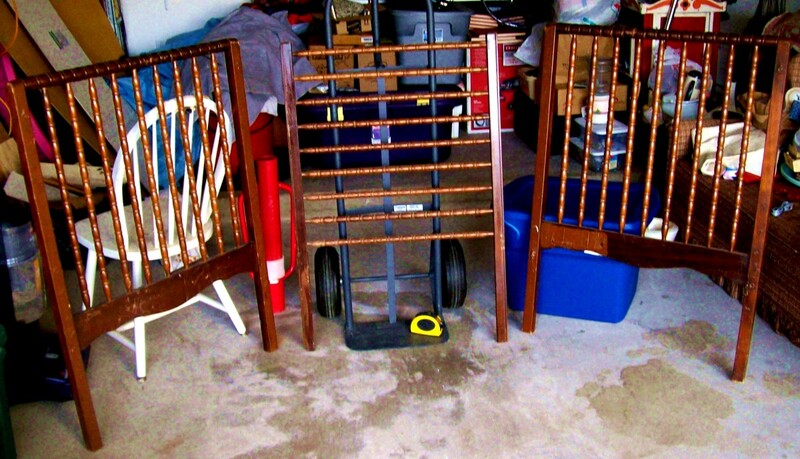 I hope this idea inspires you to create something magnificent with one of your flea market or thrift store finds! I don't see these trunks for sale too often around my local area. When I saw this one, immediately I knew I had to have it! I also love the ones that come with drawers that were once used as traveling closets. I found one once but it smelled really musty so I passed on it.